Tax season is here which means you could be in line to put a chunk of money back into your pocket. So what should you do with this year’s refund? While you may want to spend it, Community Financial Credit Union recommends investing in your future with these tips. Invest in your retirement savings. Roth IRA allows you to make cash contributions of up to $5,000 annually. Roth IRAs also offer more investment options than many retirement plans. Learn more about a Roth IRA by contacting one of our Financial Service Representatives today. Pay off high rate debt. Review any debt you have and consider what you should pay off first. Credit card debt often has the highest interest rates. Paying off a credit card now can save you money you would spend on interest throughout the year. Save. Build an emergency fund. Getting into the habit of saving is one of the best money management strategies you can develop. If you struggle with saving routinely throughout the year, it might be best for you to put away your tax return money. Thousands of dollars go unclaimed every year from the IRS because people don’t take the deductions that they are due. Using tax filing software can tell you what deductions that are automatically applied. 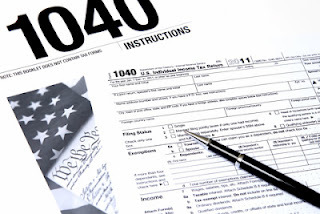 If you are still filing your taxes, try using our FREE tax service Just File It! Just File it!, This simple to use online tax filing software walks you through the process and allows you to file for both federal and state of Michigan income tax. For credit union members, your tax return can be deposited fast, right into your account. Visit Just File It! online right now to get started. Unfortunately, the last time I filed for taxes, I didn't get much of a tax refund. These are great ideas on where to put the extra funding. Surely, will be a lot of help next time I file for taxes. Insurance protection can also be purchased using the extra money.